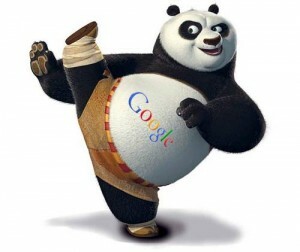 panda, now it’s time to inform you about the new Google animal… The “Penguin”. Google Penguin has impacted thousands of websites nationwide, and many SEO Companies. 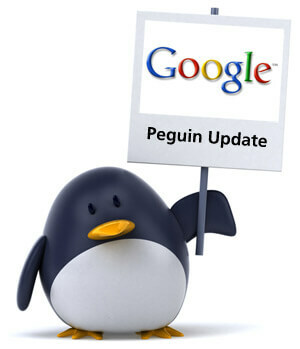 that being said let’s dive deep into the “Google Penguin Update”. Penguin is Google’s way of letting websites know, that they suspect unnatural link building is being built towards their website. While no one has been announced “banned” by Google, it has affected thousands of people’s lives. While no one has lost all rankings from the penguin, you can lose rankings for your most important keywords, since those are the ones you were optimizing the most. What is a red flag? Well Google uses machine learning to build up a picture of what natural link building looks like within each genre/niche and uses that test sites against websites on the fly. They look for links that are poorly built that reach 100’s of pages on a particular website, link farms, and link wheels. The good news is that like Panda if you properly correct the mistakes, you can regain those rankings over a short period of time. Don’t forget that JC Penny got penalized a little over a year ago for building thousands of automated links a day, and recovered within a months’ time for those respected keywords. Like Panda, the rumor has it that the Penguin only comes around every so often. However there is a chance that if Google send you a warning it might not be correct. If you feel you were unjustly de ranked you can click here to submit to Google for reconsideration. Submit press release that is professionally written. This will not only help generate more organic backlinks but it is a good way to regain lost momentum. (Contact Noxster to get this done). Build high quality backlinks. At Noxster we always implement high quality backlinks, they are more expensive but it eliminates the risk of being penalized. Blog. The more content you have the more it makes sense you have a ton of links. This also helps built social media links, retweets, Facebook likes, and Google pluses. Social Media Optimization is a good way to lessen the blow. The more business you can get through social media, allows you time to recover from a drop in rankings. Fix all of your onsite issues. If you are already using an SEO service and are looking for a in depth report, ranging from 30-100 pages (depending on your site size) on all of your onsite issues give us a call. It’s only a per basis fee. Financial forecast how this has affected your business. See how much revenue you have lost up to now due to the drop in rankings. This will help you truly understand how valuable SEO is to your business model. Monitor your SEO Company just like any other employee; keep your SEO Company accountable. Ask for detailed reports, ask questions, and let them know you know. Don’t forget this is a slippery slope. If link building was bad, SEO Companies would be hired to build links, and crappy links for that matter, towards your competition. Google isn’t out to get you, they are just trying to improve the quality of their service. If you have any anxiety with the SEO Company you are with and are looking for more information, give us a call, and an SEO expert would be happy to review the seo methodology you have in place.